Leighton Vander Esch joins a host of other talented players to play for the Dallas Cowboys in the National Football League. He has come a long way in his career with a lot of hard work from playing football at Boise State to being drafted in the NFL. In this article, you will find details about the rise of this football player and the people who have stood by him all the while. Leighton was born on the 9th of February 1997. He has Dutch ancestry but grew up in America where he went to a high school in Riggins, Idaho known as Salmon River High School. The school in his time had only 11 pupils in its graduating class. He, therefore, played eight-man football while also practicing basketball and running track. Football was his most prominent sport in which he played the position of a middle linebacker as well as quarterback. His senior year saw him making a lot of strides. In fact, in a game against Lighthouse Christian School which was a state championship final, Leighton Vander Esch was the player who made the vital five offensive touchdowns for his team with which they won. By the time he led his team to the state championship, he was given the All-Idaho 1A Division II Player of the Year Award. Leighton Vander Esch would then go on to conquer Boise State University appearing in 12 games in his freshman year as a backup linebacker. Unfortunately, a neck injury set him back in his sophomore year and he appeared in only 6 games. It was as a junior in 2017 that he would get named a starter as a weak-side linebacker. It was consequently his breakout season and he got named as the Mountain West defensive player of the year in 2017. The youngster did play college football in his senior year choosing to go instead for the 2018 NFL draft. His selection by the Dallas Cowboys as their 19th overall pick in the NFL draft came as quite a surprise for several onlookers. The new draft could not even prove himself immediately as he was held out from participating in the mandatory minicamp because of an injury. The injury was, however, identified as nothing quite serious being an ankle injury. Leighton Vander Esch now has enough time to prove to the team that put quite a lot of trust in him that he was indeed worth all the faith. 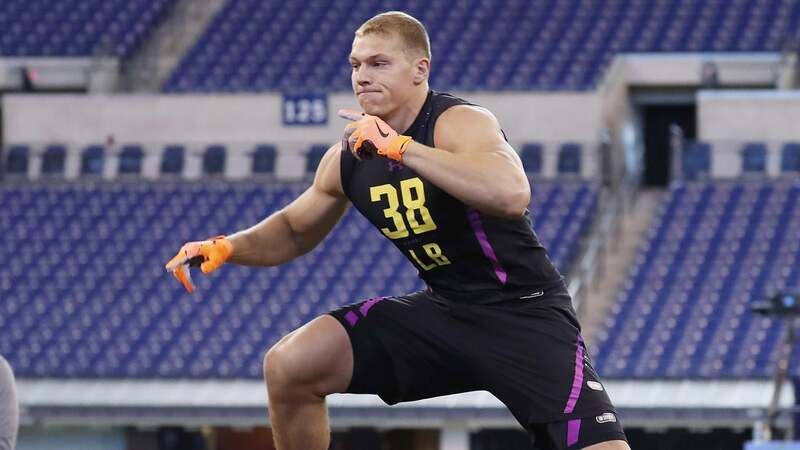 Leighton Vander Esch’s parents are Sandy Vander Esch and Darwin Vander Esch. The two are very supportive of their sons’ career and have been with him every step of the way. In fact, his father has said that he always knew that his son would rise to these heights from when he was as young as two years old. They seem to have encouraged their son to go after all his dreams and they can often be seen at his games cheering him on and wishing him the very best. Leighton Vander Esch stands at a height of 1.93 m and weighs 116kg. He is therefore considered quite big but has been praised severally for being able to do things that are expected of players much smaller than himself. This has been chalked up to versatility and athleticism and is one of the greatest strengths that Leighton is said to have. 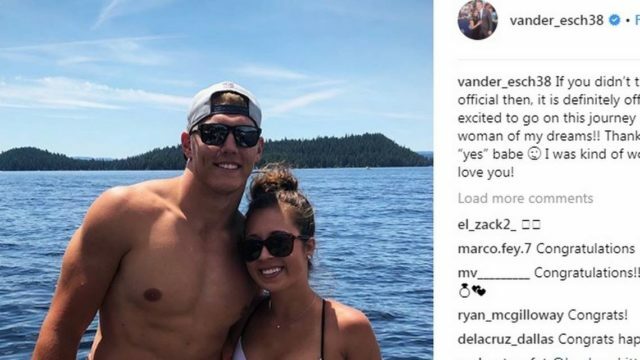 A lot is happening with Leighton Vander Esch in his professional life but he is also making some pretty great moves in his personal life. He had been in a long time relationship with a woman called Madalyn Tucker who plays basketball for the Treasure Valley CC team. She regularly shows up at his games and supported him and Vander Esch has been known to be pretty lovey-dovey about her on his social media. It was on his Instagram that he announced his engagement to her stating that if people were not sure they were official before then there was no longer any doubt now. Leighton was also thankful that she did not dodge his proposal and it seems like the two have a long and sweet future still ahead of them.